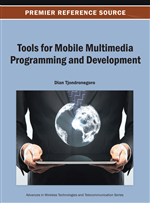 Designing and developing multimodal mobile applications is an important knowledge for researchers and industrial engineers. It is crucial to be able to rapidly develop prototypes for smartphones and tablet devices in order to test and evaluate mobile multimedia solutions, without necessarily being an expert in signal processing (image processing, objects recognition, sensors processing, etc.). This chapter proposes to follow the development process of a scientific experiment, in which a mobile application will be used to determine which modality (touch, voice, QRcode) is preferred for entering expiration dates of alimentary products. For the conception and the generation of the mobile application, the AppInventor framework is used. Benefits and limitations of this visual tool are presented across the “Pervasive Fridge” case study, and the obtained final prototype is discussed. Currently, according to the Food and Agriculture Organization of the United Nations, consumers worldwide waste about 1.3 billion tons of food annually. Consumers in rich countries waste about 222 million tons of food products (FAO, 2011). People buy food items that are kept in a fridge or cupboard and they are often unaware when products are at their consumable deadline, until the food needs to be thrown away. One part of this work is related to the field of pervasive and ubiquitous computing, whereby mobile application is to be used to help consumers avoid wasting food. In this context, we are developing multimodal mobile applications in order to conduct experiments with end-users. The existing development tools available are often associated with the kind of device and OS targeted. For instance, Visual Studio Microsoft's integrated development environment (IDE) software package allows developing applications that can be run in Windows, Windows Mobile, CE, dot NET Framework, and Silverlight. The iOS Software Development Kit (formerly known as iPhone SDK) is a software development kit developed by Apple Inc. and released in February 2008 to develop native applications for iOS. The Android SDK provides the API libraries and developer tools necessary to build, test, and debug apps for Android. All the IDEs are used by programmers through various programming languages (C# or Visual Basic, Objective-C, Java, etc. ), using both the Eclipse IDE and the SDK Android. PhoneGap, an open-source mobile development framework (PhoneGap 2012) currently supports development for multiple operating systems, including Apple iOS, Google Android, HP WebOS, Microsoft Windows Phone, Nokia Symbian OS and RIM BlackBerry. It requires Eclipse (version 3.4+) and/or other tools like Java Development Kit (JDK) in order to be used. Some tools are dedicated to more specific devices. For instance, MotoDev (MotoDev 2012) is particularly adapted for development of mobile application running on Android Motorola smartphones. AgilePlatform (AgilePlatform 2012) is considered more as a tool to develop all aspects of Web and mobile applications using a fully integrated visual modeling environment (user interfaces, business logic, databases, workflows, business processes, security rules, asynchronous jobs, etc.). Despite the advancements of tools that assist developers, it is still not a straightforward process to develop interactive multimodal applications that will be used in mobile situations while employing various components of the devices.